Why do you need Accelebrain? To cut down on your learning time and quickly memorize a large volume of words, phases, vocabulary, formulas, etc. Group words by tags like book, chapter, article, etc. 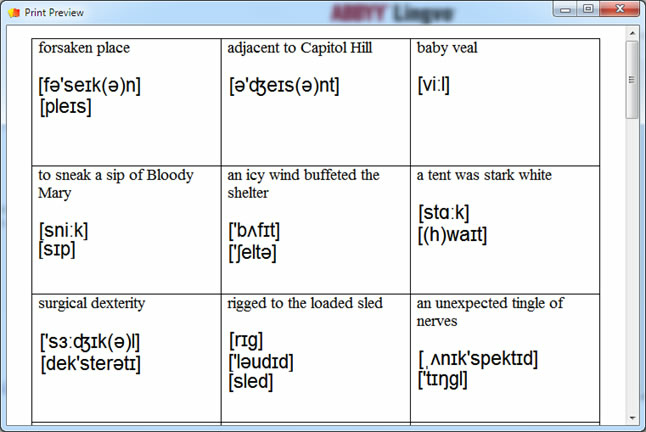 Buy Accelebrain now and start learning new words very fast! This is how the main screen looks like. 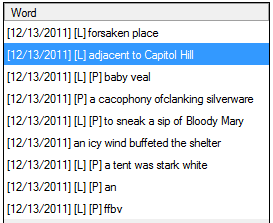 Here you can add, search, filter words or phrases. There are several fields you may fill if you need. The only mandatory field is the word, all other at your convenience. 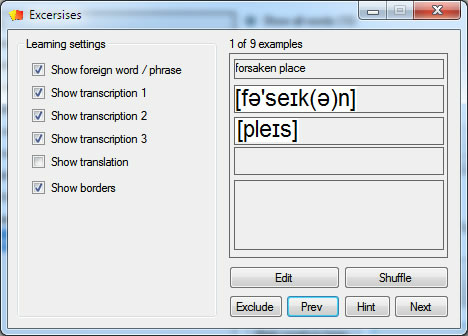 There are three fields for transcriptions as you can enter the word phrase with several foreign words and want to enter their transcriptions too (if you use Accelebrain as vocabulary builder). All those fields may be overused for other needs. The transcriptions may be taken from online dictionary you use to get the translation of the word. Any dictionary has transcription and sometimes it is a picture rather than a text. 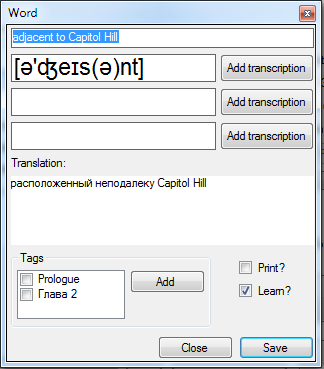 So, you press the button add transcription and select with mouse region with transcription. It will be captured to the word. 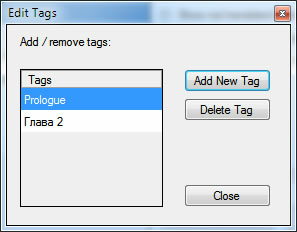 Tags are used to group words. A typical group is a book, chapter, blog, site, etc. 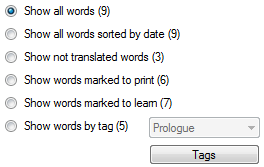 It is convenient to filter words by selected tag. This is a print builder menu. 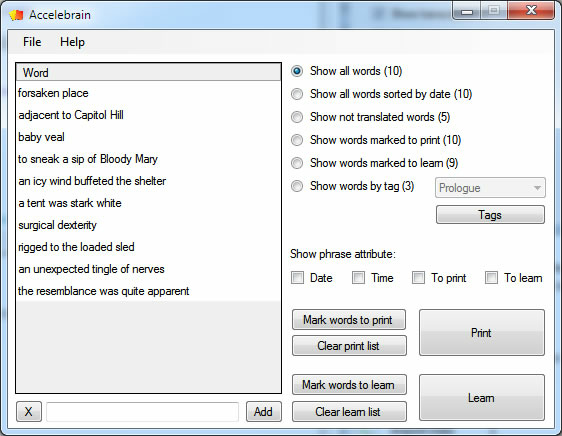 You can select how you want to print words and which fields include. One and two-sided printing support. 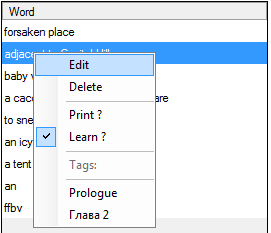 To print flashcards you need to save them from the program. They are saved as a website. You may use Microsoft word or any browser like Explorer, Firefox, Chrome, Opera to open this site and print. 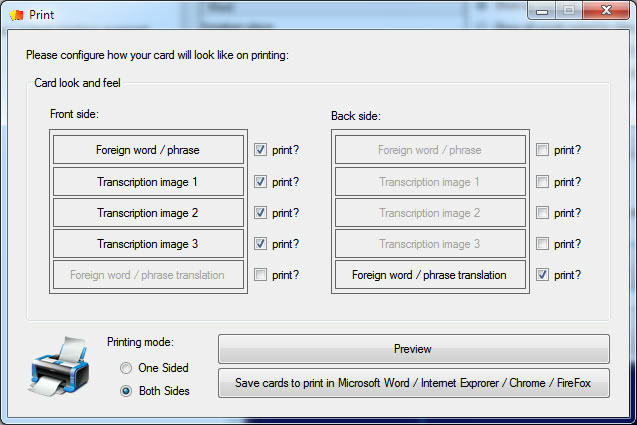 When printing cards select two-sided printing mode in your printing settings or change the list of paper manually to print cards on both sides of the list. Then use scissors to make flashcards from paper. Use buttons Next and Prev to see the front side of the card. 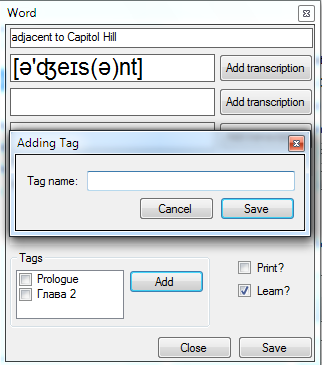 Use hint button to show all fields of the flashcard. You can shuffle, edit and exclude cards. Learning settings are used to enable fields of front side of the flashcard.